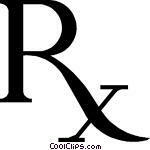 The "Rx" symbol is recognized by pharmacists and laypersons worldwide, but its origins may be older and more exotic than many might think. 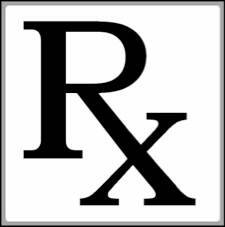 According to a recent article by clinical pharmacologist Jeff Aronson in the British Medical Journal, the symbol does not represent the letters "R" and "x," an abbreviation of the Latin word for "recipe." 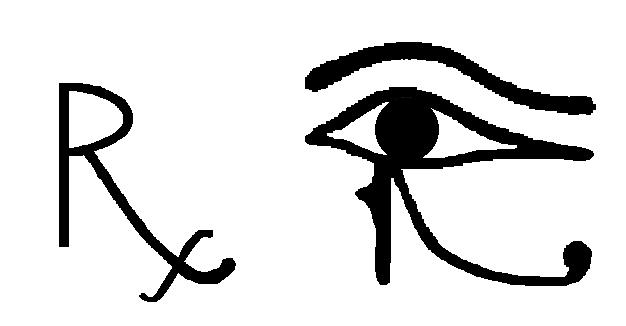 Instead, he contends, the symbol derives from the symbol used by ancient Egyptians to signify the utchat, the eye of the ancient god Horus the Elder.